If you don't know how to set up a dedicated server, click here for the tutorial. Firstly you will need to download the Warband/NW dedicated server files and set up them where you want to host your server. 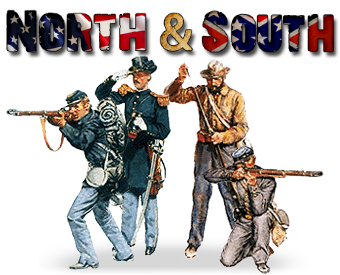 Secondly you will need to download the new North and South dedicated server files, unpack it in the Warband server folder, and replace all when asked. You're basically all set to run a dedicated North and South First Manassas server now! This will help a lot of people, very nice! Dont Sing it, Bring it. Hi, I have an issue where with my server, we cant see text. Admins can see admin text. But no one else can see text such as kills death or simple text. you might want to try reinstalling the warband dedicated server files, then place these over them again. the NaS server or module doesn't change anything to do with text.